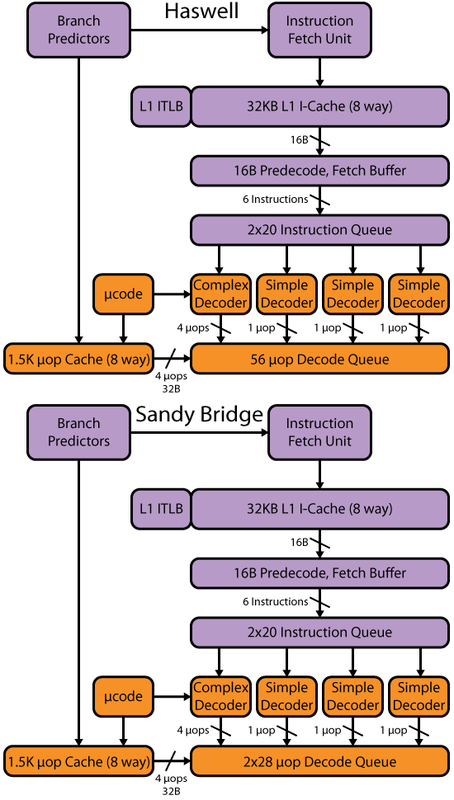 Earlier this year, I promised a lengthy and detailed article on one of the most influential ISAs outside of x86. IBM’s mainframes are the oldest line of computers, dating back to 1964 and occupy a special place as the world’s first instruction set architecture. This longevity and extreme backwards compatibility are responsible for perhaps the most lucrative computer franchise. IBM’s z196 is the first mainframe with an out-of-order CMOS microprocessor, and also the first with an integrated L3 cache. These two innovations are largely responsible for a 30-40% improvement in performance over the previous generation z10. I'd like to give a big thanks to the engineers who helped me write this article. Brian Prasky, Brian Curran, Pak-kin Mak and Charles Webb were incredibly open about the technical details of the z196 and instrumental in making this a superb and detailed article. As always, I welcome comments, questions and feedback!